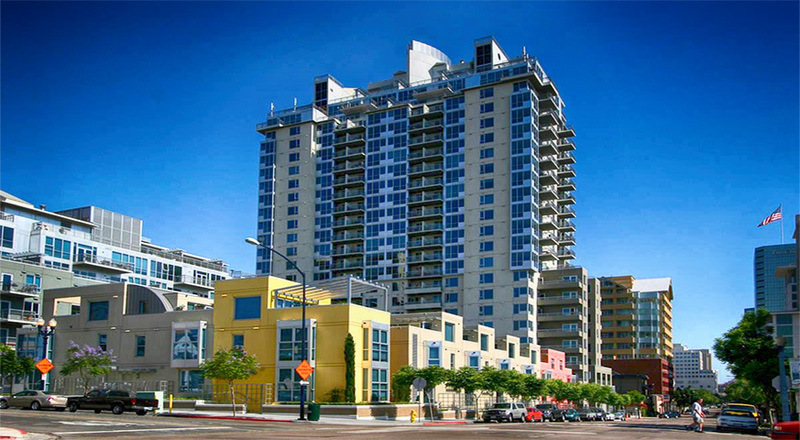 Located at 300 West Beech Street and 1580 Union Street, La Vita San Diego Condos is bounded by Beech and State and Union and Cedar Streets in Downtown’s popular Little Italy District. 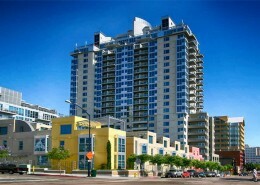 La Vita San Diego consists of a 24-story high-rise, a 7-story mid-rise and several 3-story townhomes. 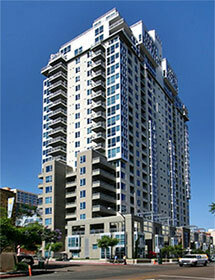 La Vita was built in 2005 by Intergulf & Lennar Development Partnership. 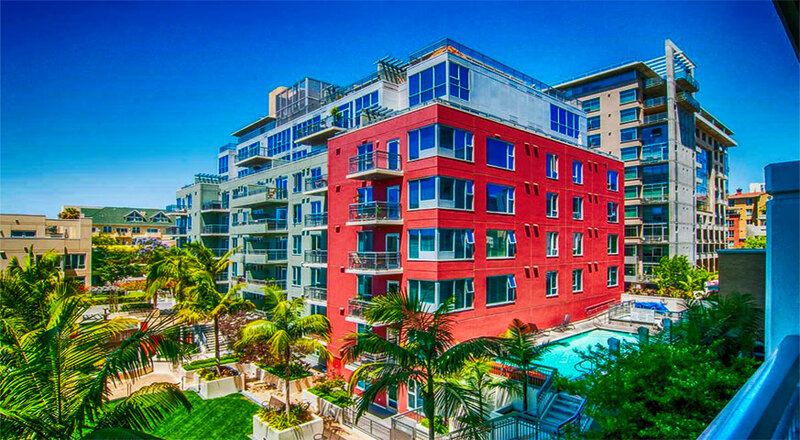 La Vita San Diego condos consists of a total 304 units that include one and two bedroom condos and three bedroom 3-story townhome floor plans that range from 668 to 2,005 square feet. 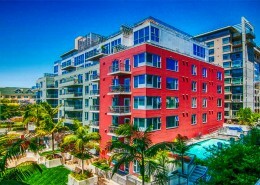 La Vita condos feature great city views and higher floor condos and penthouses offer Bay views through floor to ceiling walls of glass and balconies. La Vita San Diego condo interiors features nine-foot ceilings with floor to ceiling windows in view units, balconies or terraces, electric fireplace, full-size stackable washer and dryer, prewired for high speed internet Cat 5 and security system ready, euro-style cabinets, granite slab countertops with granite tile backsplash, gas cook tops and modern recessed lighting. 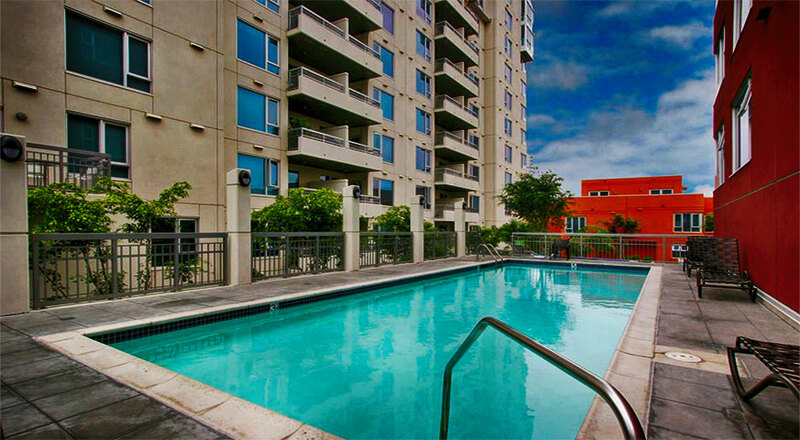 On the second floor, right in the middle of the La Vita buildings and townhomes you’ll find a tropical landscaped courtyard with fountain, waterfall, a pool and spa and BBQ areas giving you the sense of an oasis in the middle of the busy Downtown San Diego. 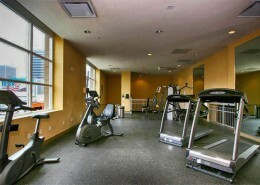 On the second floor there is also a fully equipped fitness center and a clubhouse with a pool table, wet bar and TV. 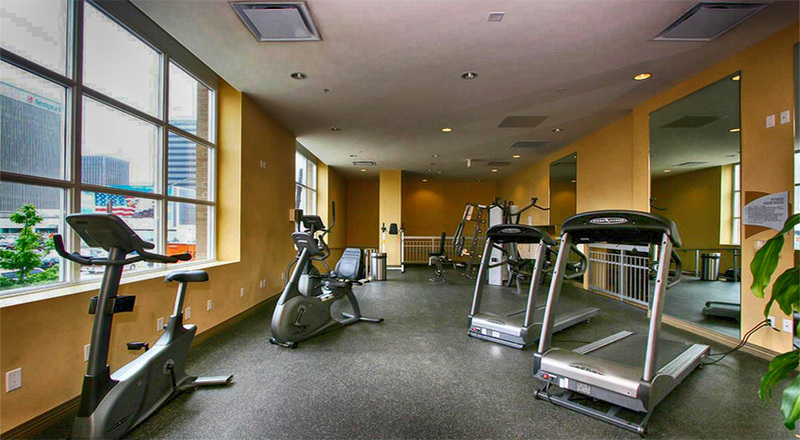 Although La Vita Condos offer amenities similar to those you typically find in buildings with high HOA dues, home owner dues at La Vita are moderate in comparison starting at approximately $400 per month. 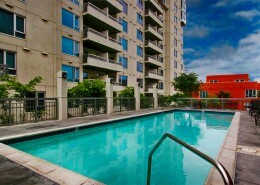 Below you can find currently available studios and condos for sale in La Vita San Diego. There might also be additional condominiums available that are not listed in the listings database. 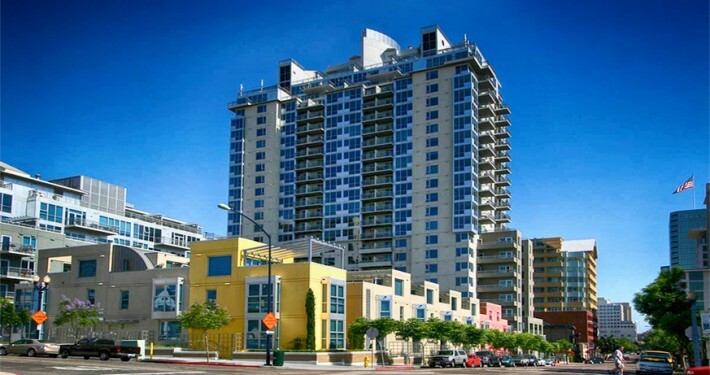 Please call us at (619) 921-0284 for more information and availability on La Vita San Diego condos for sale.